It took me a while to figure out the Twitter “speed bump”. Once you get to 2000 people whom you’re “following” (or somewhere in that vicinity), Twitter won’t let you follow more people until your ratio of following-to-followers comes to within about 10% (I don’t have the precise numbers, and the way Twitter works, they’re not important). My understanding is that this “speed bump” was put into place in order to inhibit spam accounts. That’s fair. I had found that following people was a good, though imprecise, way to get followers. The “speed-bump”, which everyone encounters at that “following 2000” level, does have a workaround, and that is the “unfollow” feature. You can do that one or two at a time, or you can use one of a number of tools, including “justunfollow” and “manageflitter”, that let you locate and unfollow the people you don’t need to follow any more. 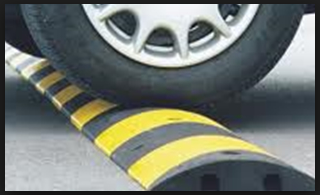 So for newer Twitter users, just be aware that the speed bump exists, and it can be gotten over. In the last several days, I’ve unfollowed several hundred accounts, which has freed up space for me to follow new people. Like the “speed bump” that slows down traffic in the parking lot, if you take it slow and resolve to get over it one axle at a time, the “speed bump” is no more than just a minor annoyance.